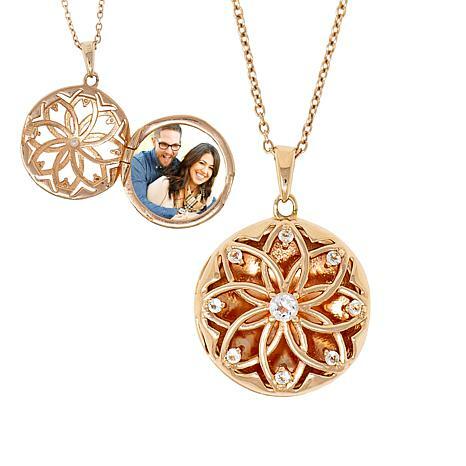 A beautiful way to honor someone you love, the "Helen" locket features a unique, open filigree-style, floral-themed design studded with white topaz accents. Personalized with a photo of someone special inside, this special piece is easy to dress up or down! 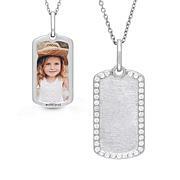 Show your little girl how much you care with a gift of this petite locket and chain. The tiny locket is fully functional and features an engraved heart shape lined with sparkling CZ accents. With a picture of you tucked inside, she'll know you're never really far away!